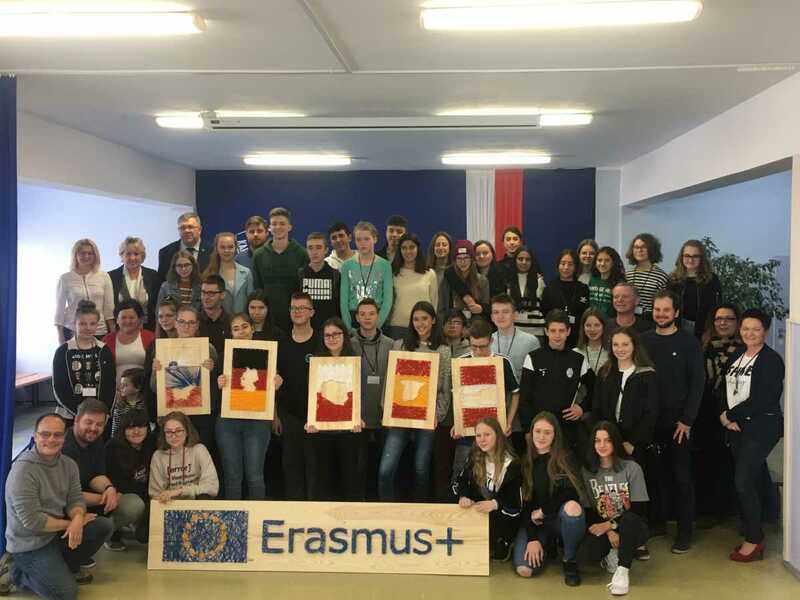 In the third week of May 2019 Kartuzy hosted 18 students from our partners’ schools. We were very happy to see the wonderful guests from Spain, Germany, Austria and Slovenia in our school. The aim of this mobility was to present to all of us that every single person can make a change. We looked at the example of Centre of Education and Promoting the Region where the owner managed to win a few Guiness Records. It was his dream, he achieved his goal and so can we! The second example was of Lech Walesa and his huge role in creating the Solidarity movement in Poland. These are two celebrities that are fully engaged in helping others and ensuring inclusion. We prepared some handmade Kashubian gifts for the students of Special Needs Centre in Kartuzy. The students visited us and as whole group we danced together salsa and other famous dances – dance and art being a wonderful source for integration. Below you can find a detailed description of what was achieved, learnt and completed during the Polish mobility.